Miles of beautiful beaches with varied style and flavor, secret coves, balmy skies, spectacular scenery, vibrant nightlife, distinguish cuisine, fabulous culture and the sweetest laid-back atmosphere you’ve ever experienced – That’s what you get when you set your foot on the entrancing Balearic Islands. Often regarded as Spain’s most glamorous archipelago, the Balearics lie in the western Mediterranean Sea, just off the eastern coast of the Iberian Peninsula as some of Europe’s most famous summer destinations. 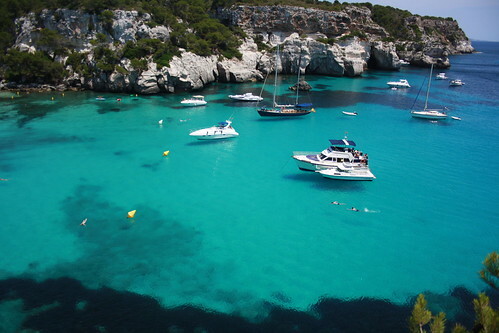 Main islands include Mallorca, Ibiza, Menorca and Formentera, each of them with its own distinctive character. The largest and probably the most exclusive of the Balearic Islands, Mallorca stands out due to its striking variety of landscapes, fascinating history, copious culture and jet set-type atmosphere. From the bustle of Palma to the picture-postcard villages in the north and from the exquisite beaches dotted along its coast to the rugged, yet beautiful Tramuntana mountains, Mallorca offers an incredible range of outdoor pursuits, being not only a famous beach destination, but also a hot spot for adventurers. Activities available on the island range from all kinds of water sports to land based endeavors such as climbing, horse riding, caving, adventure trekking, golf and of course sightseeing. Mallorca’s rich history along with its turbulent Moorish past has left many notable sights to explore including castles and ruins, imposing cathedrals, monasteries, remote sanctuaries and fascinating architectural buildings that amaze the visitor through their grandeur and uniqueness. The unbeatable collection of Nature Parks and Reserves, the amazing entertaining opportunities, the outstanding beaches, the exciting local fiestas and the varied nightlife make from Mallorca one of the finest Mediterranean islands, a destination to suit all ages, budgets and interests. Brimming with big famous clubs, exuberant crowds, euphoric music and a pulsating energy that labels it as the “World’s Party Capital”, it’s no wonder Ibiza is such a popular destination among partygoers from all over the planet. There’s no doubt the white tiny island is the most alluring, sensual and dynamic patch of land in the Spanish Mediterranean, but what many don’t know is that behind its excellent party scene hides a subtle bohemian flair, and that’s what really makes it so charming a lovable. It is however, a paradise for party animals, with an excellent music culture, fashionable beaches, fabulous off shore extravaganzas and state-of-the-art party venues steered by the best DJs in the world, but its real charm goes beyond this outward debauchery. Ibiza is an island with a fascinating history and its lovely Old Town never fails to prove it. The vibrant maze of winding streets here encircled by ancient walls and jam-packed with typical outdoor cafes still retains marks of past civilizations such as Phoenicians, Romans, Vandals and Moors. As for the beaches, Ibiza takes pride in some of the best and most varied spots to soak up the Spanish sunshine. It has everything from secluded coves and rustic calas surrounded by pines and jagged cliffs to uber-exclusive , iconic beaches full of chill-out cocktail bars and beautiful people marching to the beat of the Balearic drums. Although not as popular as Mallorca and Ibiza, Menorca is the second largest island in the Baleares and a wonderful holiday spot whether you’re looking for culture, history, lovely beaches or unspoiled nature. Fortunately, it has managed to keep its rural charm and stunning coastline unspoiled, remaining therefore one of the prettiest of the Balearic Islands. Quaint, romantic and tranquil, Menorca has its fair share of natural and archaeological wonders, from amazing prehistoric sites to spectacular beaches and idyllic coves that remind of those in the Caribbean. In fact, nowhere in Europe you can find a greater concentration of prehistoric sites than on the island of Menorca. All in all, Menorca might not have Mallorca’s great variety of landscapes or the vibrant party atmosphere of Ibiza, but it’s an island of great beauty with an abundance of culture, adventure and entertaining opportunities. So, if you’re looking for delightful traditional towns, historic villages, picturesque beaches bathed in sunshine and waters of endless shades of blue, as well as authentic island lifestyle, then Menorca is the best place to go. As I mentioned above, each one of the Balearic Islands has its own character and Formentera is all about enjoying the nature in all its splendor. This exclusive paradise so coveted by the rich and famous in search of privacy, holds under its wonderful azure skies some of the best beaches in the world, sparkling crystal clear waters, virgin landscapes, charming sleepy villages and protected nature reserves. Formentera, the tiniest and least developed of the main Ballearic Islands is a place where time passes slowly as if to give you the opportunity to savor more the precious moments spent there. Moreover, this darling isle is not just a bliss for beach-lounging devotees , but also an astonishing spot for bird watching and an ideal destination for diving lovers. The amazing range of water sports available include windsurfing, kite surfing, catamaran, sailing, canoeing, jet-skis and an endless variety of underwater activities. 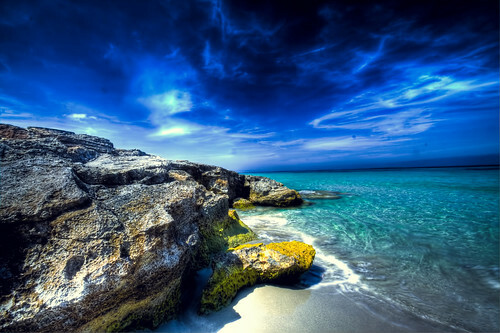 What’s your favorite Balearic Island? My favorite is Figuretas Beach, a short water taxi ride from Ibiza harbor. Just along from Figuertas beach is there is another beach called Playa D’en Bossa beach which has the famous Bora Bora beach bar it is also worth a visit.